When transfering material to and from your projects sites, Prosper provides the tools to make the process more efficient allowing you to organize your stock and to track the exact location of items in your (Project or Company) warehouses. Stock or Inventory managers will be able to pick and fulfill orders faster. While different stock items can be stored in the same location, each item may be stored in multiple locations. Helping ensure that you have enough on hand to fulfill expected orders, but keeping excess stock to a minimum, Prosper provides intelligent control over inventory replenishment. You set up the rules to dynamically set reorder point and preferred stock level for each item. 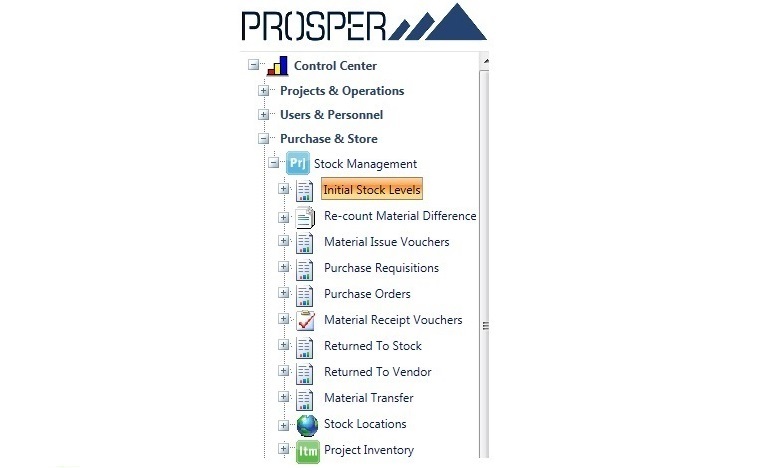 Prosper maintains a complete history for each item in the stock through its life cycle. As you execute “Received Goods or Receipt Vouchers” and “Shipping Orders or Issue Vouchers”, Prosper automatically generates “In / Out” transactions for the specific warehouse location allowing you to manage multiple warehouses. 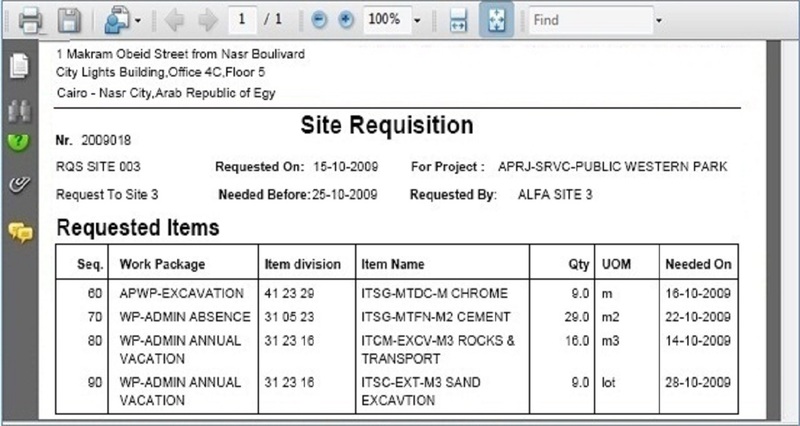 Inventory reports allow you to view information about your total inventory on hand, or just the inventory level at a specific location.